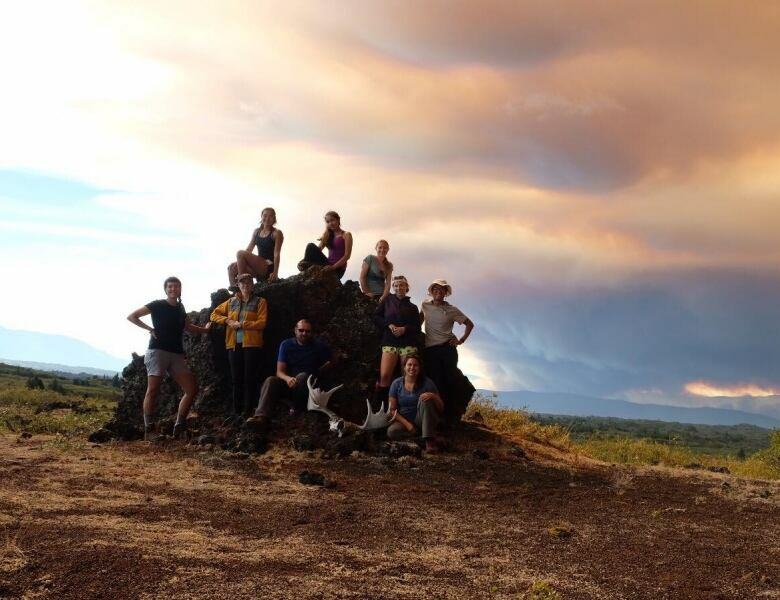 A group of nine hikers out in the wilderness near Telegraph Creek found themselves in danger over the weekend as out-of-control wildfires advanced toward them. A group of nine hikers in the northern B.C. wilderness found themselves in danger over the weekend as out-of-control wildfires closed in on them. The group was on a multiday hike with Tene Mehodihi, a Tahltan First Nation wilderness education program for youth. It consisted of high school and university students aged 16 to 34 and a guide in his 50s. They were trekking through remote Mount Edziza Provincial Park, near the Yukon Border and close to the small community of Telegraph Creek. 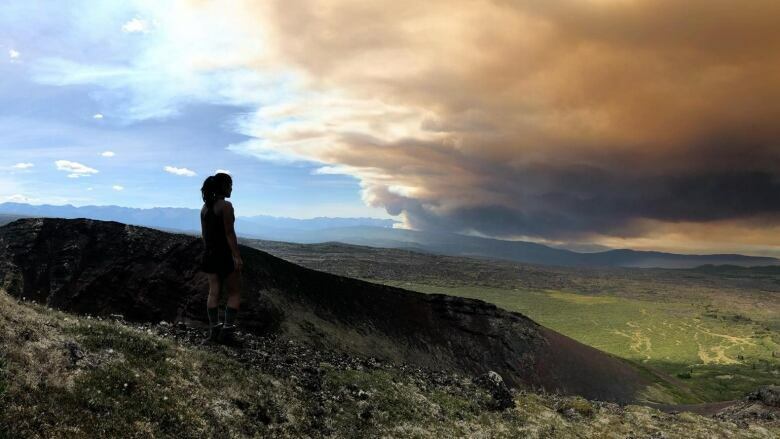 Tsēmā Igharas, one of the leaders of the group, was following the wildfire situation via satellite phone. "We had heard that Telegraph Creek was on evacuation notice and they were going to be evacuated soon," Igharas said. "I don't think we realized how dire the situation was." 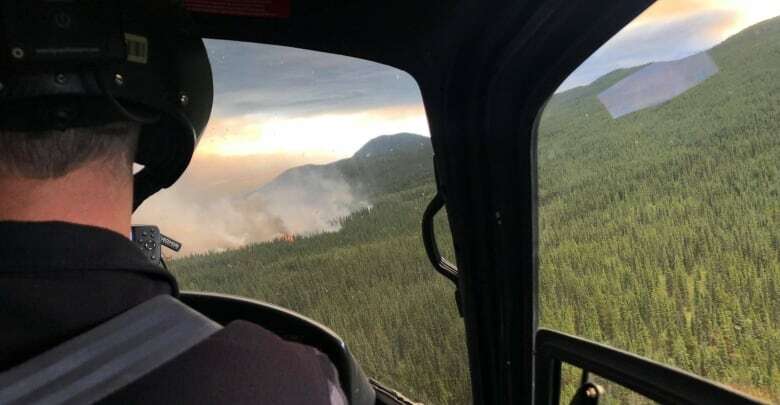 They decided to cut the trip short and leave by air — but when they called for a float plane to meet them on a nearby lake it was too smokey for bush pilots to fly out of Dease Lake and rescue them. Igharas contacted her brother, Nathan Skubovius, who called GT Gold, a mineral exploration company. Its camp was close and not blanketed in smoke. The nearest search and rescue helicopter Skubovius knew of was in Prince Rupert, much further away. "They got in a bit of a pinch, they got in touch with us," said Charlie Greig, a vice-president with the company. "Helicopters are good for getting out of tight spots." Igharas said when they were waiting for the helicopter, the skies were "apocalyptic" and ash was raining down on them. The pilot who flew to Mt. Edziza Monday had to contend with poor visibility as he got them out over two trips, Greig said. "They were in a bit of danger," he added. "When the wind does turn and the smoke's down, you don't know how far away it is and you don't know if cinders are dropping and starting [new fires]." 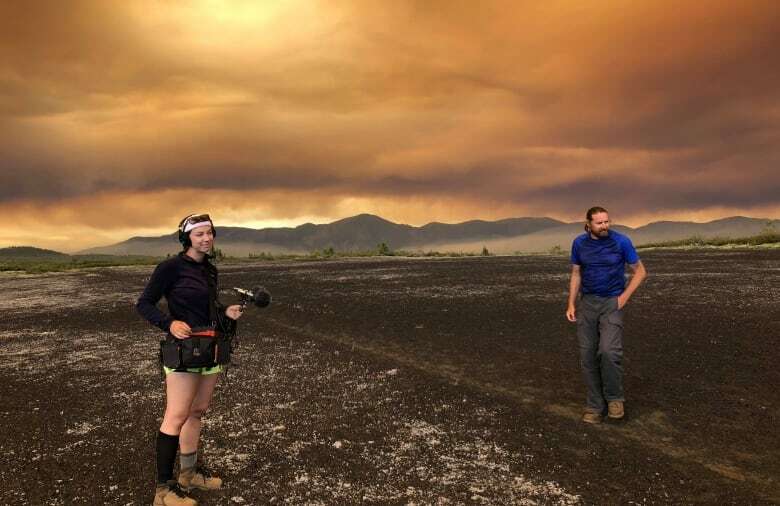 Once the helicopter lifted off, Igharas recalled, she saw how close the flames were. "When we got evacuated out ... there was actually a fire right beside us," she said. 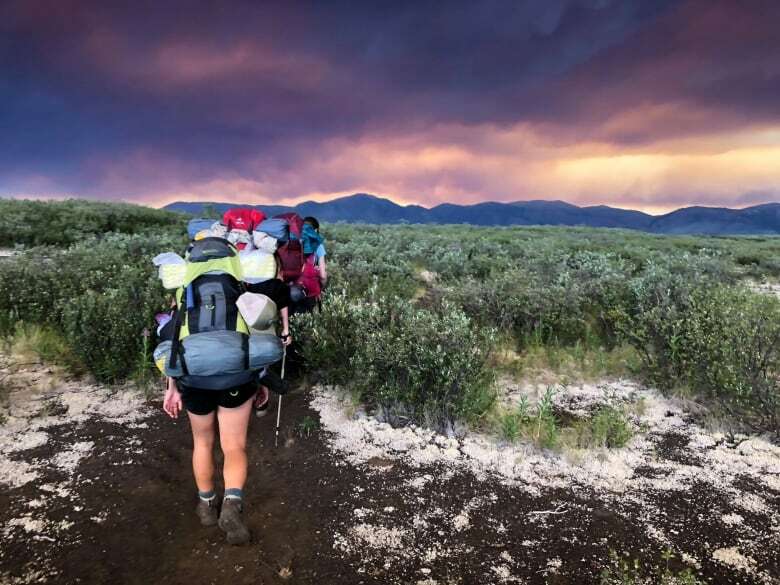 Igharas said the experience out in the wilderness challenged her. "There's going to be a lot we digest from it," she said, adding the program will improve safety precautions next year. But she also reflected on the importance of getting Tahltan youth onto the land. On this journey, she said, they found traditional medicine plants and hiked the hunting trails her great-grandfather and ancestors used. "We even found an obsidian arrowhead, which was pretty special," she said. Greig said he was glad his company was able to help them. "It's just something you do in the North," he said. "We're all in this together." Igharas said programs like Tene Mehodihi are necessary to give Northern B.C. youth educational opportunities they often don't have in local schools. "The important thing for us is our home is the land, our home is our people," she said. "It's really opened up our eyes, in many ways." She and other hikers spent much of this week volunteering at Dease Lake, including packing lunches for firefighters.